As we reported earlier, Starbucks is keeping tight-lipped about any plans it might have to bring free, ‘one click’ wifi to the UK. 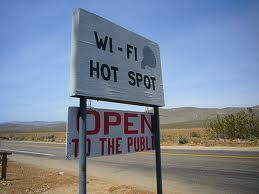 With good reason – free wifi is a minefield here. The old Labour Government rushed through the Digital Economy Act which has provisions to protect copyright holders and as part of this introduced the ’3 strikes rule’ whereby a subscriber of an Internet service could be kicked off after 3 copyright infringements. The legislation is complex and Ofcom were mandated to offer a code of practice for Internet Service Providers (ISPs) on how they were going to enforce various aspects of the Act. They published the code of practice as part of a Consultation. Availability of free Wi-Fi does influence venue choice. According to In-Stat's new Wi-Fi Hotspot research, nearly two-thirds of respondents indicated that free Wi-Fi influences their choice of venue. An additional 31% indicated that free access may influence their choice, and just 5% said that it would have no influence over venue choice. "Our research shows that while revenue may not always be directly gleaned from the hotspot offering, free Wi-Fi has a significant value in bringing customers to a venue,"says Amy Cravens, Market Analyst. "It's no wonder then that over 150 thousand cafe/retail venues have now deployed Wi-Fi hotspots, although not all of these are free. That's in addition to the tens of thousands of travel-related installations (hotels, airports, in-flight) worldwide." The federal government–at least that of the United States–has had some truly hair-brained ideas in its time (though really, what government hasn’t pulled the lunacy trigger from time to time?) but this one’s certainly got me thinking. A bill advanced by Senator Olympia Snowe (R-Maine) and Senator Mark Warner (D-Virginia) wants to take every federal building in the United States and make it a functioning Wi-Fi hotspot. 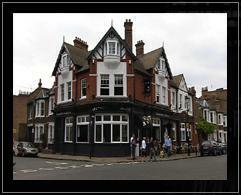 INC Group is a well known and popular chain of over 20 quality restaurants and bars throughout London. Their range of venues vary from fine dining to easy drinking, from quick meals to elegant corporate events. INC Group recognised the customers' demand for Free WiFi and were also keen to attract customers during quieter times. The range of products on the market tended to be costly and offered no real tangible benefit other than the WiFi offering itself.